If you have an allergy to something like dairy, corn or wheat, you know to eliminate those things in your diet. What you may not realize is that you could be getting potential allergens in your medication without even knowing it. SPOKANE, Wash. -- If you have an allergy to something like dairy, corn or wheat, you know to eliminate those things in your diet. What you may not realize is that you could be getting potential allergens in your medication without even knowing it. Many pharmaceuticals don’t prominently list inactive ingredients, and it can be difficult to find out what inactive ingredients each pill contains. For people with severe food allergies, the ingredients can cause serious or even life-threatening health complications. 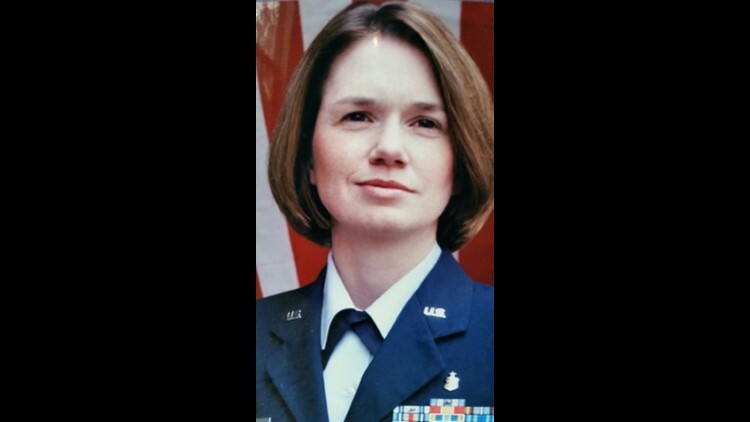 Sherri Connerly had a robust military career, including work as a physician’s assistant in the Air Force. But several years ago, she was diagnosed with Mitochondrial Myopathy, which is a disease that impacts the energy-producing structures of cells. "It's like the battery in a cell phone it's not charging correctly," Connerly said. Still, she was managing her condition, until about three years ago when she plunged into a steep, downward spiral no one could explain. "She couldn't get out of bed. She was on hospice for 9 months," said Connerly’s husband, Mike Lewis. Connerly’s doctors couldn’t figure out what was wrong. She did have a severe corn allergy, which she told her pharmacists, and she didn’t think she ate anything containing corn. Still, Connerly’s energy was almost non-existent, made worse by an incredible amount of water weight that would inexplicably come and go. "The first time it happened I gained 20 pounds," Connerly said. She began to suspect her medications were to blame. "I finally made the connection when we changed a drug. We changed a drug and I gained that 20 pounds again," Connerly said. Corn wasn't listed anywhere on her medications, so she had her pharmacist do what amounted to a deep background check with the drug manufacturers. "It took four hours for the poor pharmacist to look up two drugs to call the pharmacies and get calls back," she said. 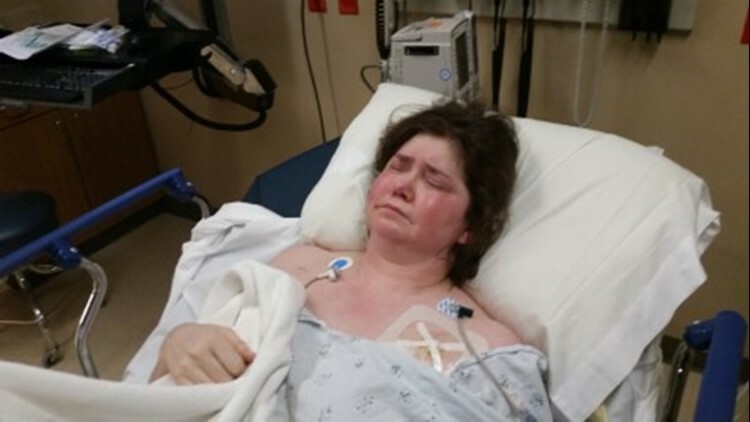 It turns out Sherri was getting a steady stream of corn from twelve different medications she was prescribed. Connie Remsberg, a professor at the College of Pharmacy and Pharmaceutical Sciences at Washington State University, says Connerly’s issue is not unheard of. "It doesn't surprise me at all, unfortunately. There are many folks out there that have something similar to this," Remsberg said. She says pharmacists do have software to help flag allergies, but the software has limitations. "They're very good at picking up drug allergies. But they're not necessarily as robust when it comes to the dietary types of allergies. So it really depends on the system," she said. One reason is because inactive ingredients -- known as “excipients” -- often have a series of different names. The FDA said some of the names that are variations of corn include dextrose, glucose, dextrin, maltodextrin, lecithin, fructose, and sorbitol. Other allergens such as gluten also go by a variety of names. "That's when the pharmacist can maybe jump in and maybe give some insight," Remsberg said. She recommends that people who have allergies find a pharmacist they trust and stick with them. The pharmacist may also have to go to the manufacturer, according to the FDA. "When the source of any ingredient in a product is in doubt, the manufacturer should be contacted. FDA encourages drug manufacturers to have accurate information on the sources of their ingredients available so they can respond to questions from the public and health care providers," the agency said in a statement. The FDA says ingredients for prescription drug products will generally be listed on the labeling in the "Description" section of drug info, although that’s not always the case. The FDA also says labeling for more than 90,000 prescription and nonprescription drugs can also be found on the internet at DailyMed. It's important to make sure not just the product name matches, but the manufacturer or distributor needs to match too. That’s because different manufacturers use different inactive ingredients. There is good news for Connerly. She was able to switch medications to ones that don’t contain corn. She says she noticed a change instantly. Now she's hoping her collision course with the complexities of medication may one day help others. "I want everyone to know about this," she said. "I don't want to see people hurt." Information on inactive ingredients for drug products can be found in different places depending on the type of drug. For nonprescription drug products, ingredients are listed on the “Drug Facts” label in the “inactive ingredients” section. For prescription drug products, ingredients will generally be listed on the labeling in the “Description” section. The labeling for more than 90,000 prescription and nonprescription drug products can also be found on the internet at DailyMed. It’s important to be sure that the product label you are looking at matches the product you are interested in getting more information about. For example, the product name and product manufacturer or distributor listed on the label should match the product you are interested in. Inactive ingredients in drug products, such as binders, suspending agents, and thickening agents, may contain corn or be processed into various forms, such as corn-derived proteins, corn starch, corn syrup, or corn syrup solids. Some words on labels that tell you corn may be in a food or pharmaceutical are: dextrose, glucose, dextrin, maltodextrin, lecithin, fructose, and sorbitol. When the source of any ingredient in a product is in doubt, the manufacturer should be contacted. FDA encourages drug manufacturers to have accurate information on the sources of their ingredients available so they can respond to questions from the public and health care providers. To help FDA track safety issues with medicines, we urge patients and health care professionals to report adverse events involving medicines to the FDA MedWatch program at www.fda.gov/medwatch. For questions regarding pharmacy operations, please reach out to your state board of pharmacy.